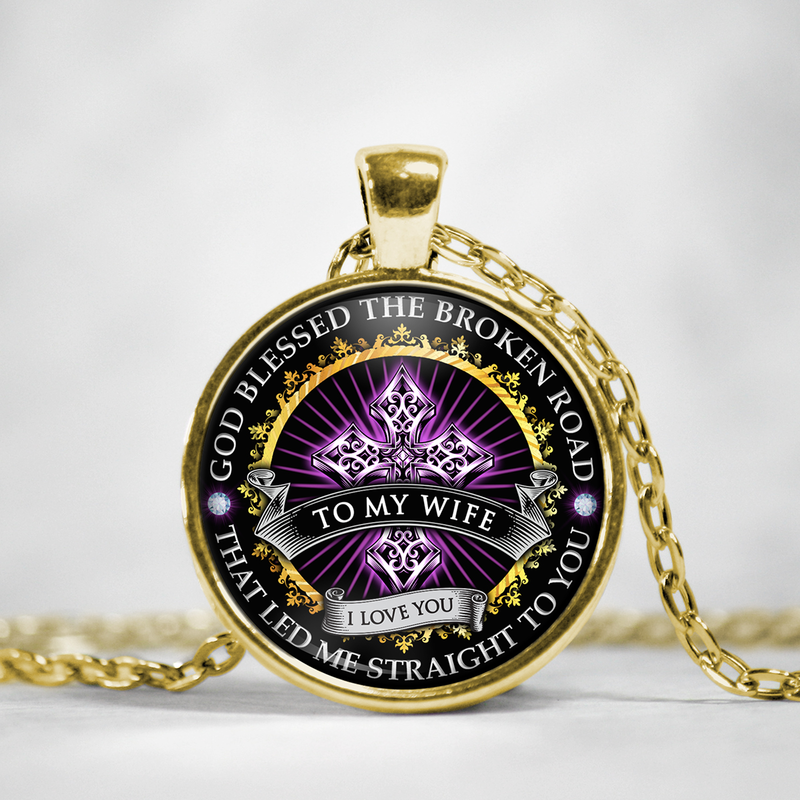 Surprise Your Wife This necklace makes a pefect gift and she will love it. Show her what she means to you and melt her heart. Bigger than I expected it too be. Very nice look to it in person. Took longer to get than I expected but it's a present for next month so didn't mind waiting. Recieved within the 7 - 12 days. Actually was 7th day Was a bit nicer than expected. 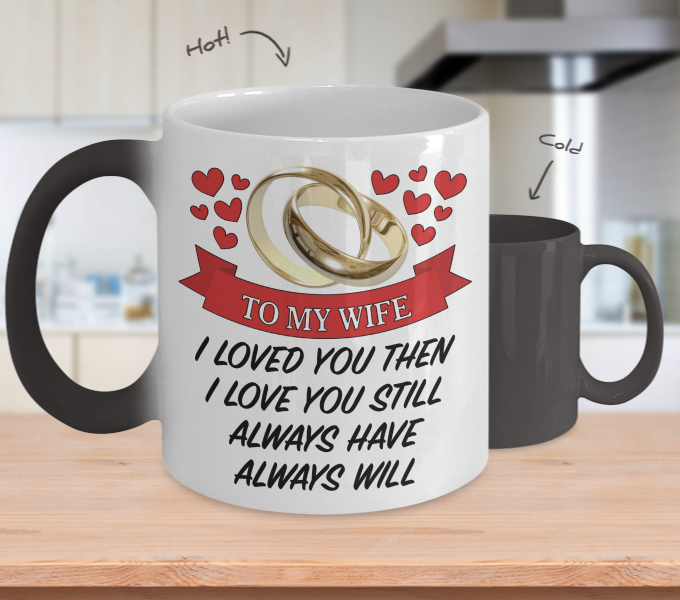 Good quality, a little spendy but the wife loved it. Happy wife, Happy Life! 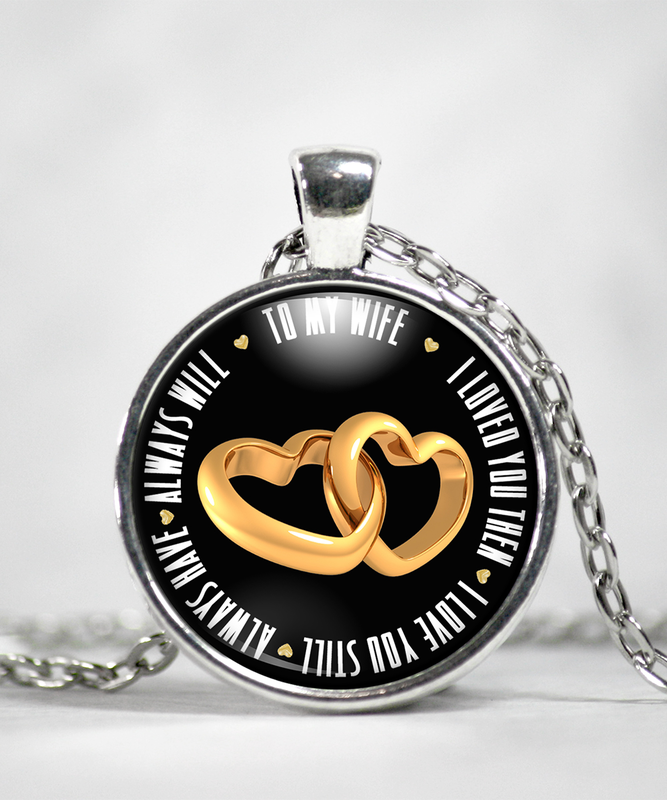 My wife loved the necklace. It was very well done and looks very nice. Thanks. 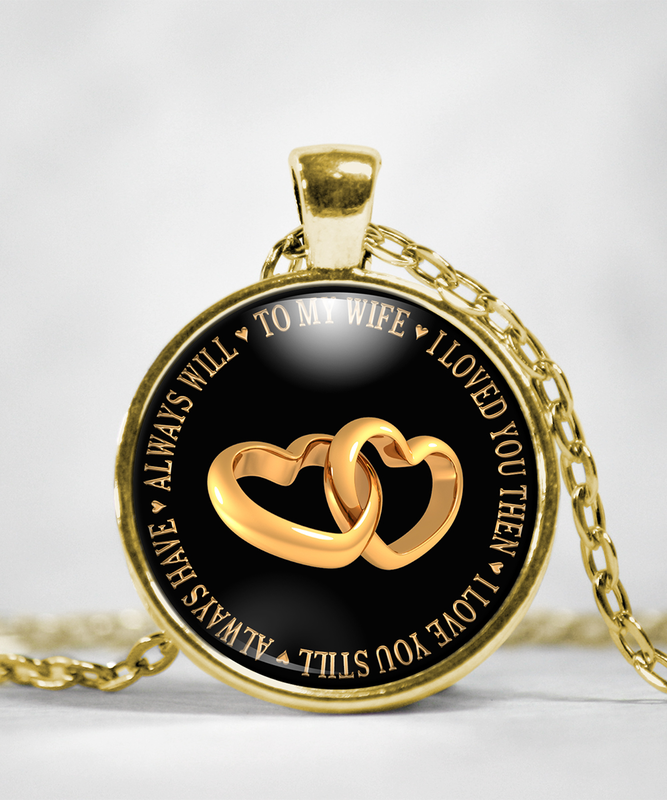 Nice necklace, my wife will love it.